You can get in contact with the Cogglesford Watermill by calling 01529 413671. The Cogglesford Watermill is a thought to be the only sheriff’s watermill still in operation in England. The mill is just outside Lincoln on the River Slea. Millers have been producing flour on this site for more than 1,000 years but the current mill was built during the 18th century. The mill is a three-story building with a low breast shot water wheel and two sets of millstones. The mill still makes stoneground flour as it would have been made 200 years ago in the mill. The river the mill lies on was once home to 18 mills during the 10th century, these mills were very important to not only Lincolnshire but the whole of England being some of the most important in the country. In 1792-1794 the ‘Sleaford Navigation’ led to boats being able to carry corn down the River Slea directly to the mills and the flour could be transported straight back to the nearby towns. Some of the graffiti on the mill dates back to 1663 as it was considered a tradition for millers to engrave their names into the wooden beams in the mill as well as door frames. Not all of the graffiti is dated but some of the millers who carved their names also carved the date. You can also see some of the original tally marks on the stone walls made by the millers to keep track of how many sacks of grains had been used. 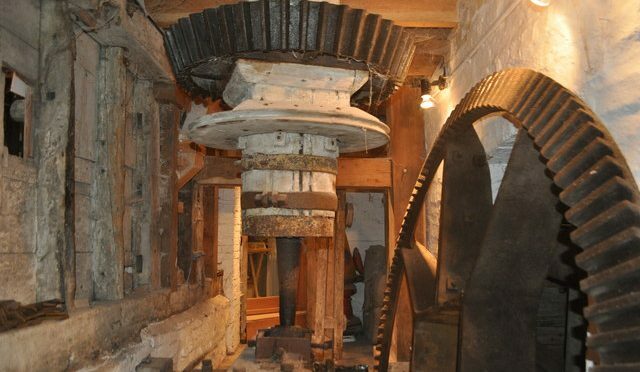 Unfortunately, the mill had ceased working in 1885 and fell into a state of neglect, it was later rescued in 1991 by the North Kesteven District Council and restored to full working condition and is now a grade II listed building. There are lots of things to do at the Cogglesford Watermill. On certain days of the year, you can watch the Mill in operation producing flour the way it would have hundreds of years ago. If you are visiting the Mill on a day when the Mill is not in operation you can watch videos of the milling process as well as the history of the Mill. There is also a shop at the Mill where you can buy the stoneground flour as well as gifts and light refreshments with visitor information available too. The Cogglesford Watermill holds events throughout the year which you can find out more about by visiting their website or their facebook page. You can walk around the river bed and find the navigation house and the national centre for craft and design. The milling days can be viewed on the website or facebook page but they are usually the second Sunday of the month from April to December. 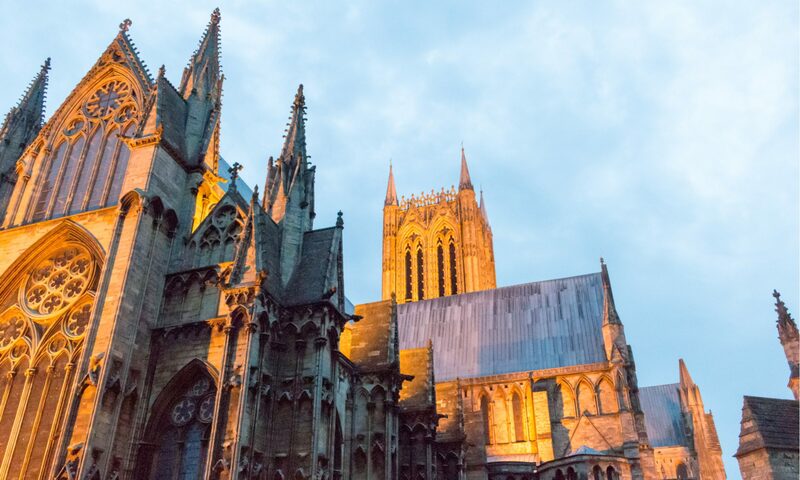 Their opening times vary depending on the month and days of the week: in April to October, they’re open from 12 pm to 4 pm Monday to Friday and 11 am to 4.30 pm on Saturdays, Sundays and bank holiday Mondays. In November toMarch they’re open on Saturday and Sundays only from 12 pm to 4 pm. Admission is free all year round for everyone.